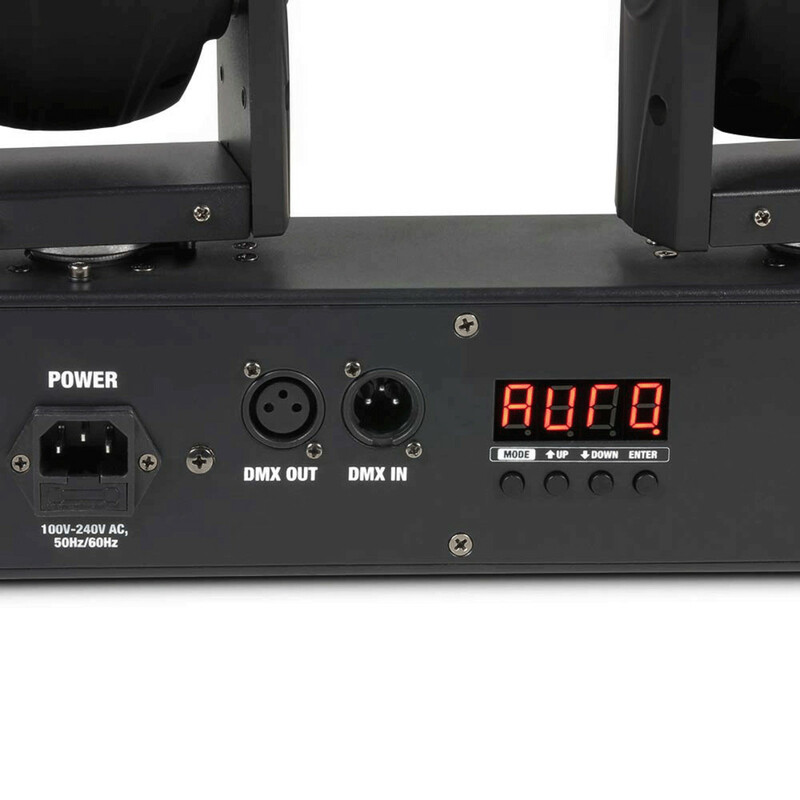 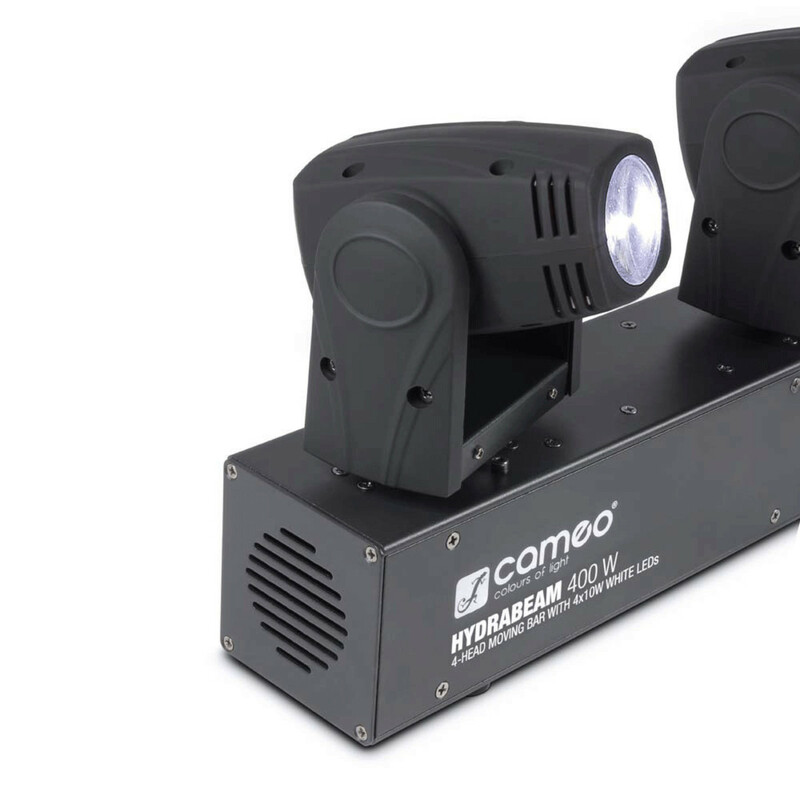 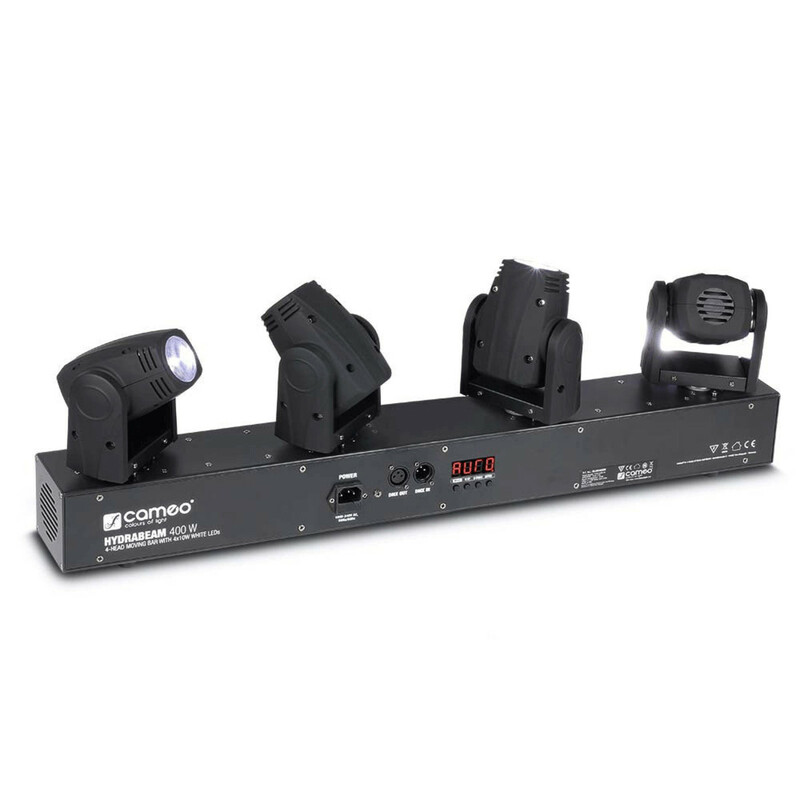 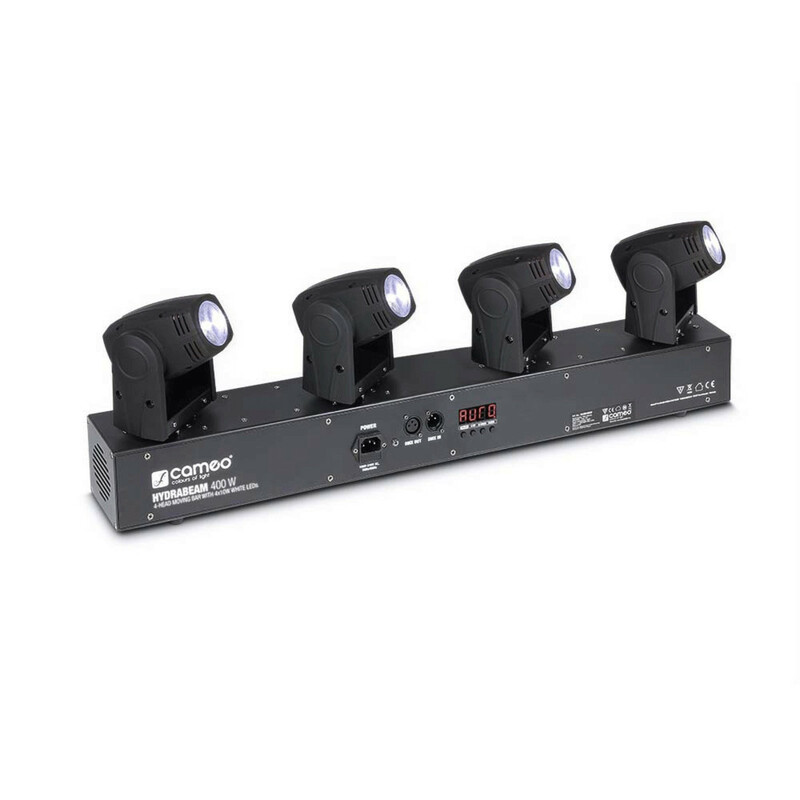 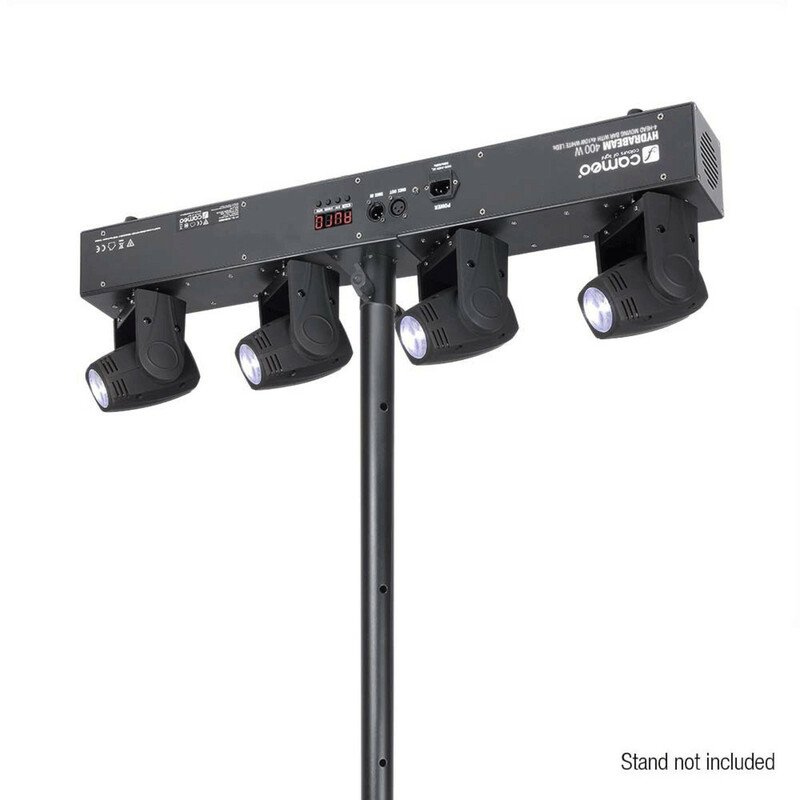 The Cameo HydraBeam 400 White is a bar with 4 ultra-fast moving heads that can be controlled independently. 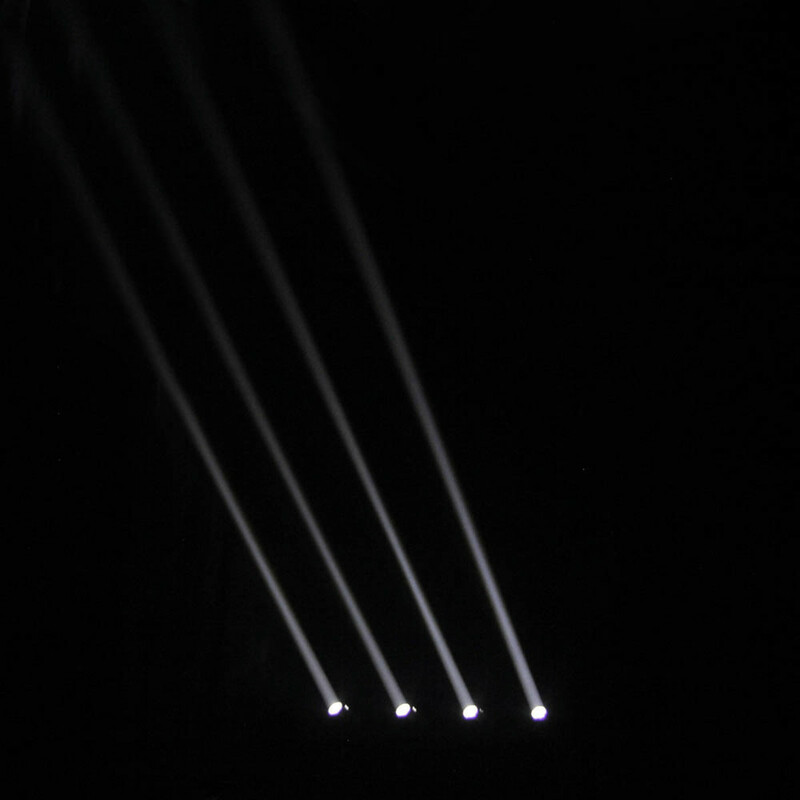 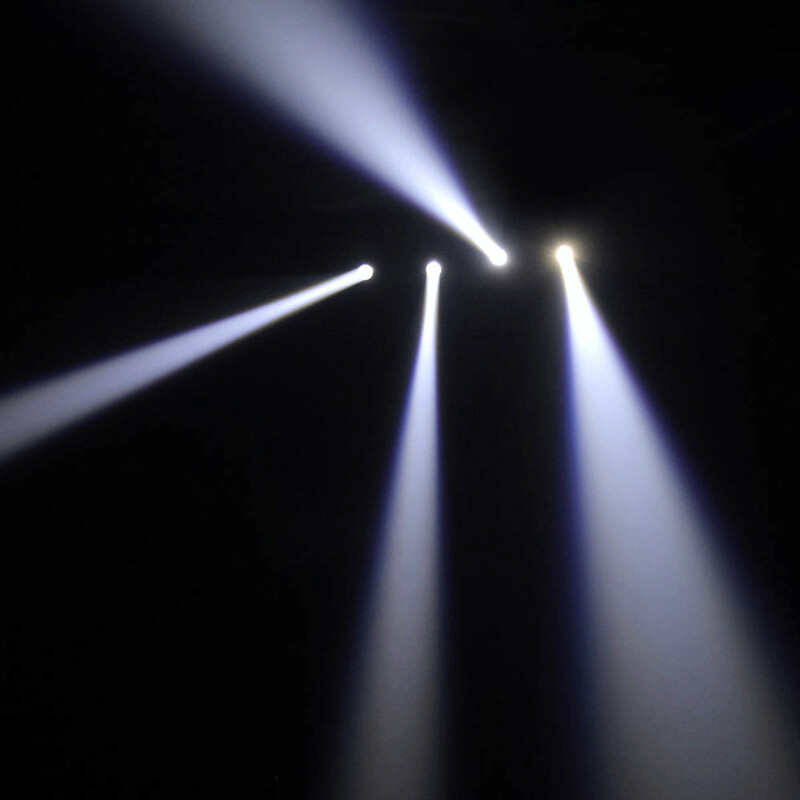 They are equipped with high-intensity, white, 10 W Lumi-Engin LEDs, providing a narrow 11° beam angle and 84,000 lux of light intensity. 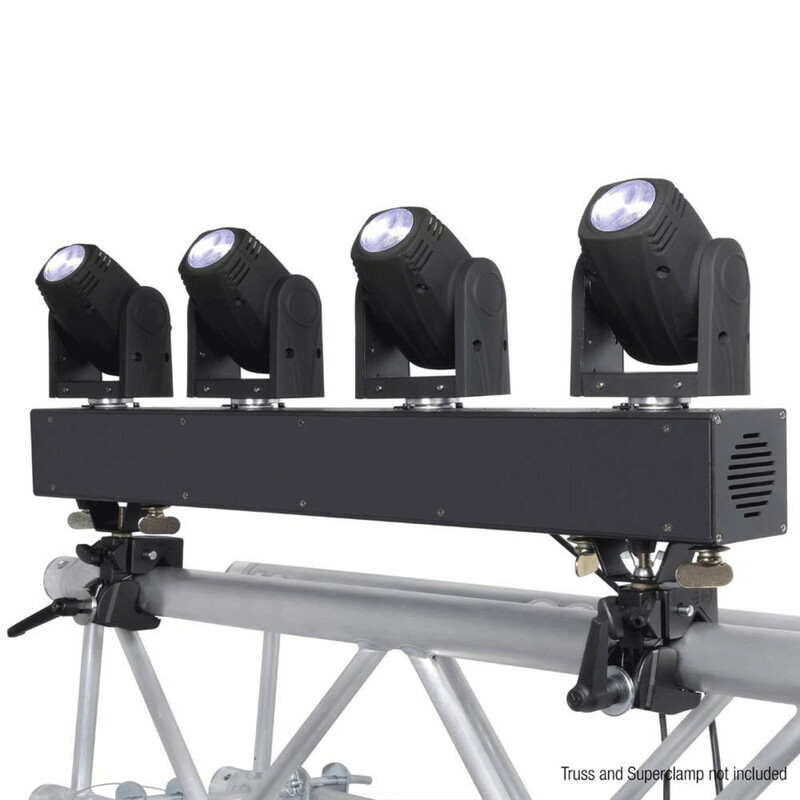 The moving heads swivel by up to 540° horizontally and by up to 270° vertically, and are cooled by an extremely low-noise fan.